Conveniently located right off Interstate 93, Lincoln, Woodstock, and Franconia Notch is your Basecamp of the White Mountains! Visitors will find a variety of indoor and outdoor activities, a unique selection of tax-free shopping at dozens of shops, superb dining, and the most extensive selection of lodging in the White Mountains. The diversity of environments around Lincoln, Woodstock, and Franconia Notch is incredible for a relatively small geographic area. All throughout this region there are accommodations and itineraries to suit a wide range of vacationer. Charming bed & breakfast get-a-ways await those who want to enjoy the natural peace and quiet of a mountain vacation. Challenging outdoor activities abound for adventurers seeking a more active trip. And families can always find something in their budget from hotels with swimming pools to fun camping trips.  In this region of the state you will find some of New Hampshire’s most beautiful natural attractions. Nature-lovers can explore to their heart’s content and never get tired. Hikers and mountain bikers will love the trails that go for miles through scenic woodlands and climb up the highest mountain slopes in New England. For those who prefer to motor, enjoy a scenic ride by car or motorcycle through the White Mountain National Forest and stop for waterfalls and scenic vistas. Let us help your next vacation! Previous Post: « Why Lincoln, Woodstock, Franconia Notch?